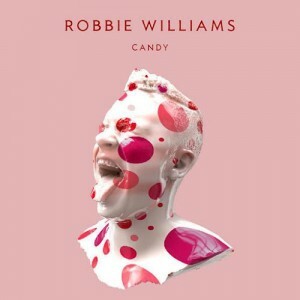 It’s seemingly all action stations in Robbie Williams’ camp. Less than 24 hours after servicing his brand new single ‘Candy’ to Australian media, the singer has moments ago unveiled the official video too. The track has received almost universal praise since its debut, with many heralding the track’s feel-good vibe. And the clip matches said vibe – and then some, as an angelic Rob attempts to grab the attention of a young girl who’s clearly oblivious to him. But it’s the lengths that Rob goes to that make for entertaining watching. Thankfully not a scratch on that gorgeous suit. GO THE ROBSTAR…….cheeky as ever, love the guy. That’s Effie from Skins! Just quietly, I would go to those lengths to get her attention too…she’s hot! Thanks auspOp. Loved the song instantly. Great, fun film clip. Robbie is back in top form – Darren.